The overall aim of the CPIE Coordination and IM Core Skills Training is to strengthen and to improve the core skills of current and potential Child Protection Coordinators, Co-coordinators and Information Managers. Prior to arrival, this training requires all participants to have a basic level of theoretical and practical knowledge and skills of coordination and IM. The purpose of the pre-arrival e-learning modules is to prepare you for the 5-day simulation. The e-learning component is composed of two parts: Part A and Part B. You are viewing Part A. In Part A, we have four modules with accompanying assignments to be completed and submitted to Sara Lim ([email protected]). You must complete Part A by 18 May 2016. This will ensure that you receive feedback on your work. Once you complete Part A, you will receive a link to Part B. To qualify to attend the in-person portion of this course, you must complete and submit all assignments in both Part A and Part B. ​You have three options, depending on your time and internet constraints. Option 1: Review section 1 of the CPIE Coordination Handbook and orient your CP coordination group on the humanitarian reform and cluster approach through a brief presentation. Email your presentation to Sara Lim ([email protected]). If you would like a guided experience, complete the highly-recommended e-learning course (see links above). The certificate is issued by the Humanitarian Academy at Harvard. Orient your CP coordination group members on the humanitarian reform and cluster approach through a brief presentation and email your presentation to Sara Lim ([email protected]). If you are unable to complete the online version, but you would still like to read the highly-recommended BBR course, then review e-learning script - Unit 1 - Unit 2 - Unit 3 - Unit 4 - Unit 5 - Glossary - and answer the MS Word version of the quiz. Please note: Since the BBR e-learning course was developed, the Humanitarian Response Plan (HRP) has replaced the Strategic Response Plan (SRP). Read the Cluster Coordination Reference Module (CCRM). Read the Reference Module on Humanitarian Programme Cycle. Have you emailed your presentation to Sara Lim? Have you emailed your checklist to Sara Lim? Which stakeholder groups should be involved in coordination? 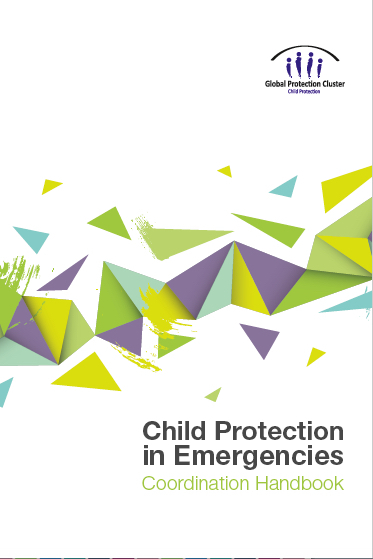 What are the child protection strategies (used to address CP needs) described in the CPMS ? Common forms of physical danger and injury in conflicts, disasters and other crises include road traffic accidents, drowning, fire-related burns, injury caused by explosive remnants of war or landmines and unintended injury from gunfire. Please chose one minimum standard from the CPMS. Write a question based on that standard. Ensure the question assesses the knowledge and understanding of one concept treated in that standard. Write the three possible response options. State which standard is being addressed. Have you emailed your assignment and score to Sara Lim?